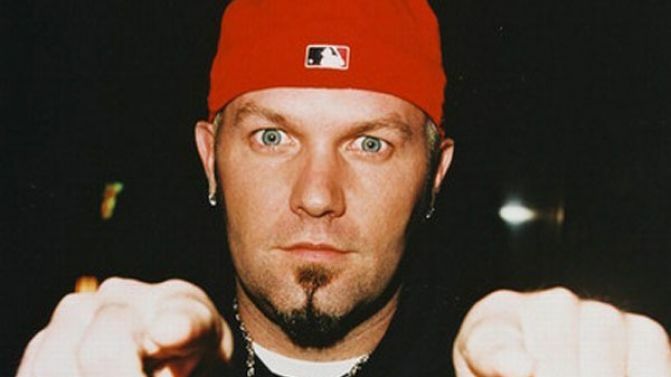 Fred Durst will not be Rollin’ into Ukraine anytime soon. The Limp Bizkit frontman has reportedly been banned from the Eastern European country state for a period of 5 years after being deemed a security threat. According to Ukrainian online publication Apostrof (via NME), Durst has been banned “in the interests of guaranteeing the security of our state”. That’s right, the Nookie singer is right up their with Vladimir Putin and feral wolverines on the nation’s “most dangerous” list. Billboard further reports that Interfax security services have confirmed Durst’s ban, but declined to give out any additional information. We can only assume that their immigration department read the lyrics of Break Stuff and didn’t want Customs to take any chances. Durst professed a desire to move to Crimea – a Russian territory that was annexed from the Ukraine in 2014 – earlier this year, and apparently had plans to make a reality TV series. But despite being Ready To Go, it doesn’t look like it would be the wisest decision for Durst to relocate there any time soon. The territory, which has a Russian-speaking majority, voted to join Russia in a referendum (which Ukraine and the West see as illegal) and there’s been sporadic fighting and a general climate of civil unrest ever since. Meanwhile, Durst recently made headlines after taking credit for apparently getting Axl Rose and Slash to agree to reunite Guns N’ Roses. After which, Rage Against The Machine’s Tim Commerford took responsibility for Limp Bizkit, apologising to everyone for the band’s very existence.